With the drinking public growing savvier about cocktails, the Old Fashioned is quickly catching up to the vodka Redbull as the go-to drink for most (fingers crossed!). Its simplicity, spirit-forwardness, and balanced sweetness make it appealing on all fronts for both the neophyte whiskey drinker and the well-seasoned one. But at Bestia, Chef Ori Menashe’s always bustling Arts District restaurant, the house Old Fashioned has been dominating drink orders for two and a half years. The staying power of bar director Jeremy Simpson Chef’s Old Fashioned may stem from the fact that it is the ultimate meat lover’s cocktail. Just the thought of that mix of lardo-infused bourbon, hickory-smoked sugar, Angostura bitters, and a salt tincture kicks your salivary glands into overdrive. Chef Ori himself even loves the cocktail. “It’s his favorite on the menu and he has said in the past that it will more than likely never come off our menu,” he adds. 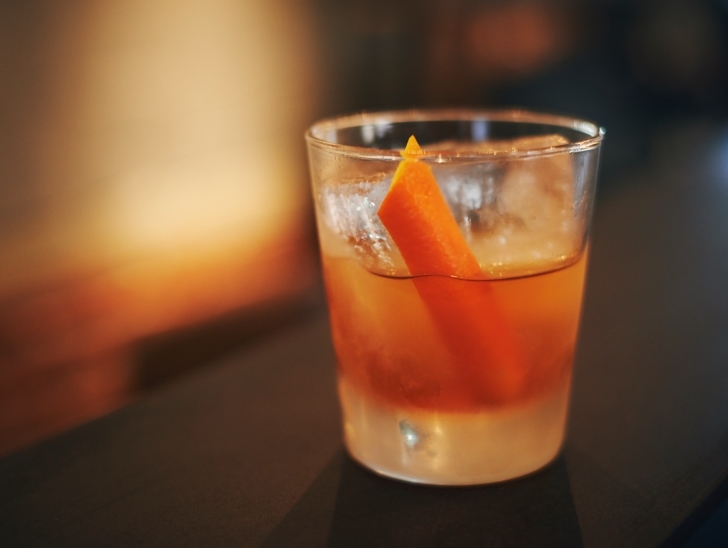 So exactly how popular is the Chef’s Old Fashioned at Bestia? I asked Simpson. How many do you sell a day/week? What time of day is it most popular? What type of drinkers tend to order it? Do people new to the restaurant order it or are these regulars? Why do you think it’s the most popular?